CancerStory.com was successful in obtaining the Volunteer Development Grant from the National Volunteer & Philanthropy Centre that helped to defray its web site maintenance costs for the second year's operations (September 2001-September 2002). CancerStory.com would also like to acknowledge the past support of its advertiser, NTUC Income, Singapore's only insurance cooperative and also a leading life, general and health insurer. 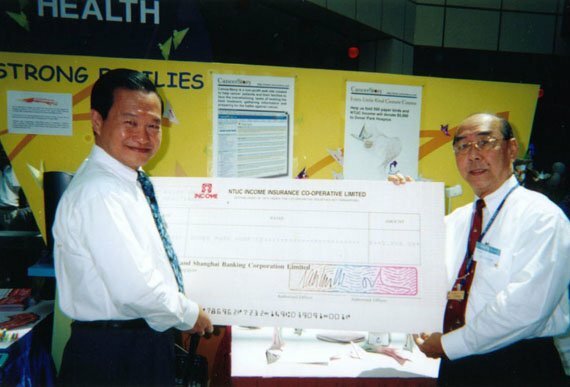 It was also through their generous contribution of $5,000 that we were able to carry out our first fund raising activity, Every Little Kind Gesture Counts successfully at the Singapore 21 Fair on Active Citizens which was officially opened by Deputy Prime Minister Lee Hsien Loong on 30 June 2001. The sum of $5,000 was donated to our first beneficiary, Dover Park Hospice. 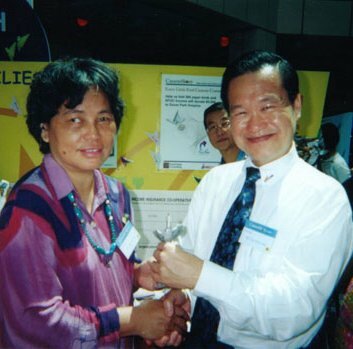 Photographs taken at the Singapore 21 Fair on Active Citizens, The Wonderful World of Volunteers held at Suntec City Entertainment Atrium on 30 June 2001 and 1 July 2001. The founder of CancerStory.com, Soh Hong surfed her web site together with Deputy Prime Minister Lee Hsien Loong. Also in the picture were Minister of State Mr David Lim, CEO of NTUC Income Mr Tan Kin Lian, Chairman of National Volunteer Centre Mr Gerard Ee and CancerStory.com Web Editor Amelia Kang. 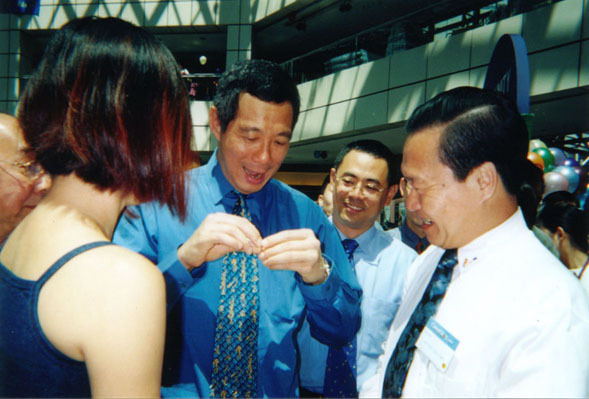 DPM Lee helped to fold the origami version of Humanity. Also in picture were Minister of State Mr David Lim, Mr Tan Kin Lian and Amelia. Mr Peter Ng, Marketing Manager of NTUC Income and Soh Hong were in the background. 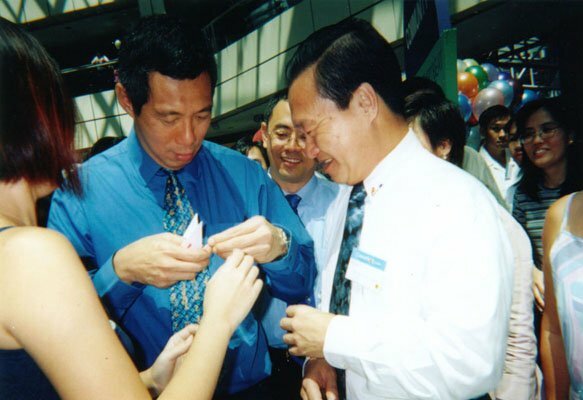 DPM Lee completed folding the origami version of Humanity. Also in picture were Minister of State Mr David Lim, Mr Tan Kin Lian, Dr Jerry Lim and Amelia. DPM Lee witnessed the presentation of cheque of S$5,000/- by NTUC Income CEO Mr Tan Kin Lian to the Chairman of Dover Park Hospice Dr Jerry Lim. 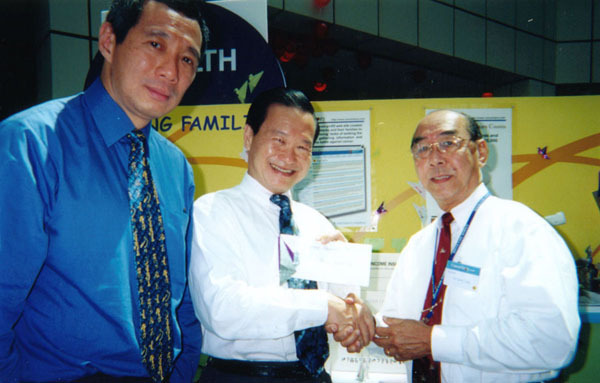 Mr Tan Kin Lian and Dr Jerry Lim at the cheque presentation ceremony. On behalf of Dover Park Hospice, Dr Jerry Lim presented a token of appreciation to NTUC Income represented by Mr Tan Kin Lian, for making the generous cash donation of S$5,000/-. 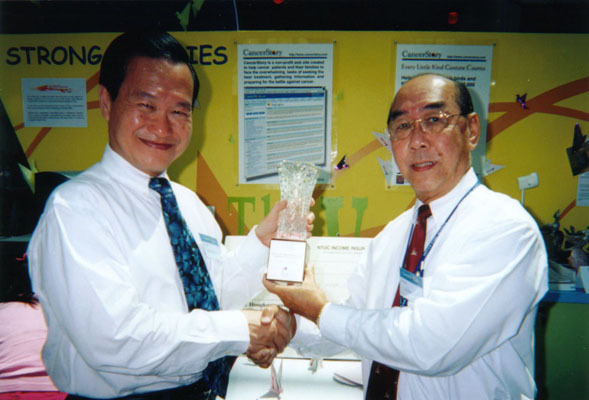 On behalf of CancerStory.com, Ms Chng Seok Tin, Sculptor of Humanity, was invited to present a token of appreciation(a mini-sculpture of Humanity) to our first patron, NTUC Income represented by their CEO Mr Tan Kin Lian. Also in the picture was Mr Sunny Kang, a CancerStory volunteer.